ARLINGTON, Va. – A Spanish frigate will deploy with USS Abraham Lincoln (CVN-72) and attached to its carrier strike group on a deployment from Naval Station Norfolk, Va. later this year. ESPS Mendez Nunez (F-104) will join the Abraham Lincoln CSG when it reaches the Strait of Gibraltar in U.S. 6th Fleet, according to a release from the Spanish Armada. The CSG is then expected to sail into the Mediterranean, transit the Suez Canal and continue through the U.S. 5th Fleet and U.S. 7th Fleet areas of operation before ending the deployment in San Diego, Calif., according to the Spanish Armada. Mendez Nunez is expected to complete its around-the-globe voyage in November when the ship is scheduled to return to its homeport the Spanish Naval base in Ferrol, a port city in northern Spain on the Bay of Biscay. On Thursday, Navy leaders stressed U.S. allies role in the service’s emerging Distributed Maritime Operations (DMO) plan for high-end warfare. “We will never fight alone,” Adm. Christopher Grady, commander of U.S. Fleet Forces Command, said 2019 Surface Navy Association Symposium. Currently, Menedez Nunez is in Norfolk training with the Abraham Lincoln CSG. The training exercises are expected to start next week and run into February. 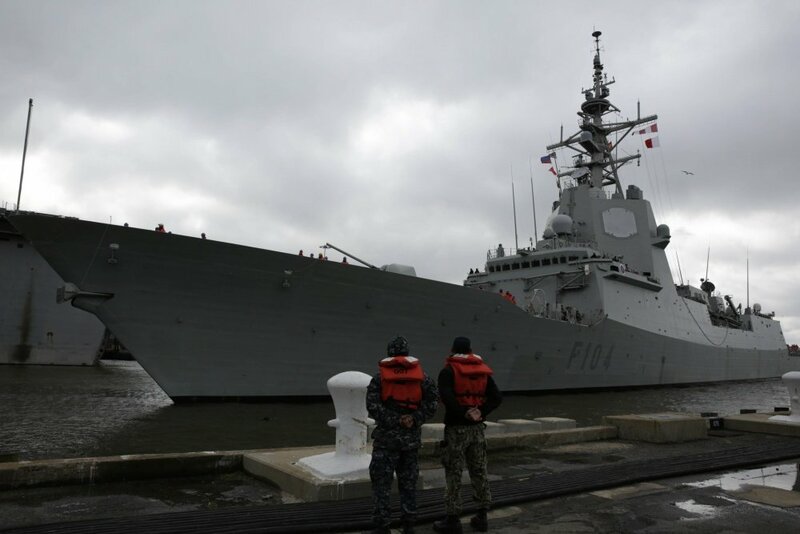 Mendez Nunez is scheduled to return to Ferrol after the exercise, and rejoin the CSG once it deploys in April, according to the Spanish Armada. Mendez Nunez is an Álvaro de Bazán-class F-100 frigate built by the Spanish firm Navantia, and is an example of the parent design used by Bath Iron Works for its entry in the U.S. Navy future frigate (FFG(X)) competition. The U.S. Navy is considering designs from five shipbuilders to create its planned fleet of 20 frigates. The F-100 is a 6,000-ton air defense guided-missile frigate that is outfitted with the Aegis Combat System. The first F-100 joined the Spanish Armada in 2002. The design is also used as the basis of the Australian Hobart-class air defense destroyer and the Norwegian Navy’s Fridtjof Nansen-class frigates. 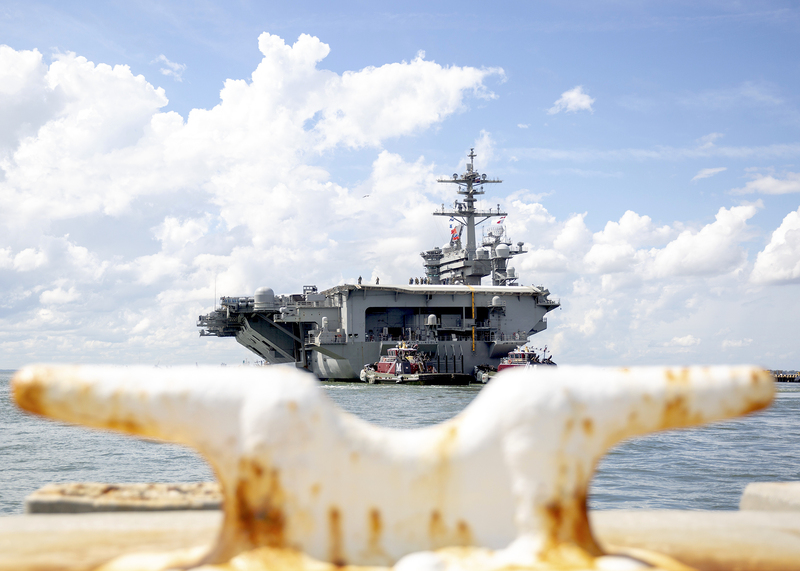 When Abraham Lincoln departs Norfolk for deployment, the departure will be part of a three-carrier homeport shift ending with Abraham Lincoln relocated to San Diego. The two other carriers involved in the shift are USS Carl Vinson (CVN-70) which is leaving San Diego for Naval Base Kitsap-Bremerton, Wash., where it is scheduled for a planned incremental maintenance availability. USS John C. Stennis (CVN-74) left Bremerton, Wash., for a deployment last year and will relocate to Norfolk.